Wild rabbits are identified by their long and soft fur, grey-brown color, white underparts and short tail. 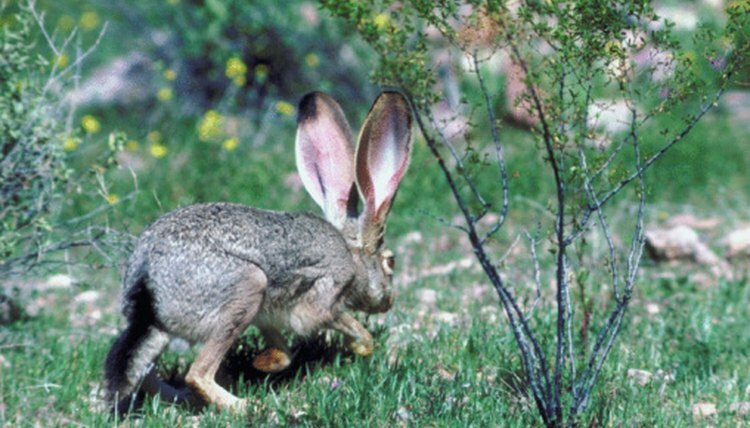 Their long ears, common to most rabbits, are most likely an adaptation that allows them to better hear approaching predators. Wild rabbits live in burrows; a group of them is called a herd. As with deer, kangaroos, rats and ferrets, a male rabbit is called a buck and a female rabbit is called a doe. No species of rabbit is known to hibernate during the winter months. 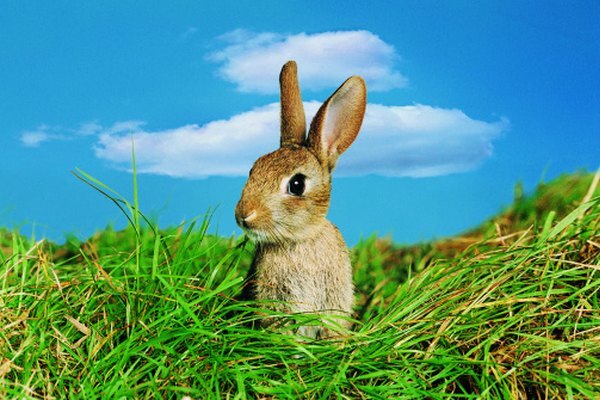 Rabbits are herbivores that feed by grazing on a range of vegetation, including twigs, buds, grasses and bark. During the winter months, rabbits survive by foraging for food under the snow. Because vegetation is less plentiful during the winter, rabbits may increase their intake of tree bark and conifer needles. During cold and inclement weather, rabbits might seek shelter in a natural or man-made cavity such as a thicket, an existing burrow or a culvert. Generally solitary creatures, rabbits are most active between dusk and dawn. Although they are silent for the most part, rabbits communicate with one another through grunts and purrs. To indicate alarm or aggression, rabbits will loudly thump their hind feet as a means of signaling other rabbits of impending danger or displaying displeasure. During a territorial dispute, rabbits sometimes box using their front limbs to fend off other rabbits and defend their space. The breeding season for rabbits runs from mid-February through late summer. Rabbits have a 30-day gestation period and the average female rabbit gives birth to several litters a year, each containing four to eight young. So as not to alert predators to the location of her young, a mother rabbit will stay away from the nest for the first two weeks after the babies are born, returning to it only at dusk and dawn to nurse. 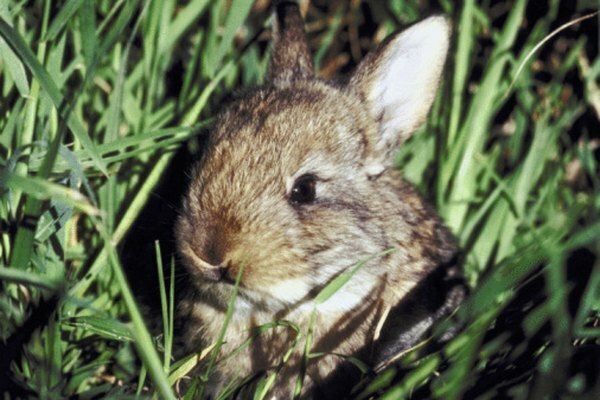 At two weeks old, rabbits begin to eat vegetation on their own. 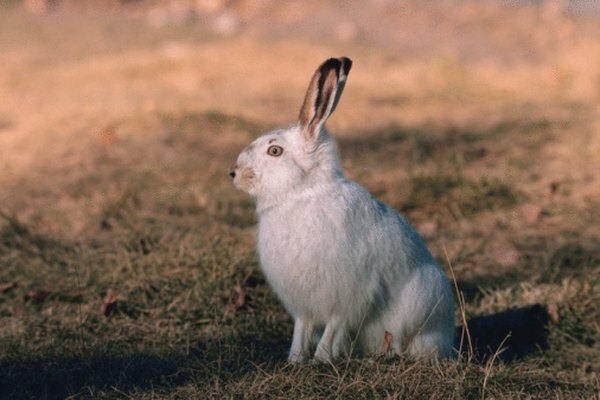 Because they are prey animals, rabbits have a relatively short life expectancy; they generally live two or more years but often live less than a year if weather conditions are harsh and predators are numerous. Adult rabbits fall prey to owls, hawks, coyotes, bobcats, foxes and domestic dogs. Newborn and young rabbits still in nests are sometimes eaten by skunks, weasels, domestic cats and snakes. They are also a risk of being killed by lawn mowers, weed trimmers and other grounds keeping equipment. 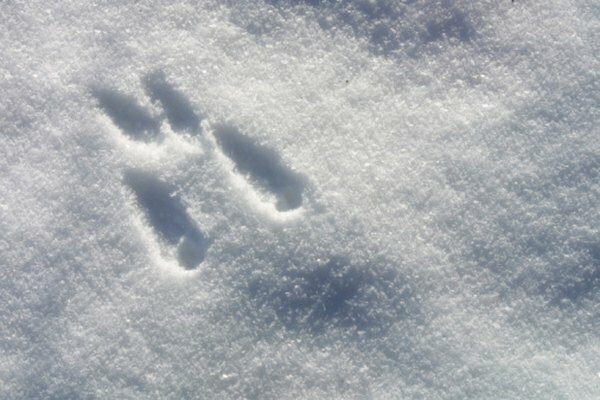 Exploring Nature Educational Resource: Where Do Animals Go In Winter?